Ms. Natalia Dahl is a vocal pedagogue and a choir conductor. For over twenty years she instructs students from the age of six to sixteen in Moscow (Russia), Hannover (Germany), and in others European cities. Ms. Dahl graduated with Honors in Choir Conducting, Singing, Piano and Organ from the Moscow State Tchaikovsky Conservatory and singing, organ, musicology and music education at the University of Music, Drama and Media, Hannover (Germany). Beside her musical training Ms. Dahl was also educated at the oldest (263 years old) State University of Dramatic Art at the State Academic Maliy Drama Theatre in Moscow as well as at the special Medicine course of the Department of Musician’s Medicine in Germany. 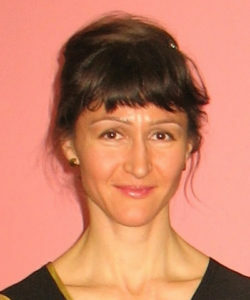 With the aim of the individual approach in development of music talents in her students and by teaching based on natural gift of the child, Ms. Dahl engages in her vocal pedagogy several components, including Stanislavski’s Method of acting and movement on the stage, Feldenkrais’s Method; variety breathing techniques based on yoga and European traditions, as well as music theory knowledge and solfège. Her approach of singing puts focus on individual child’s psychology, pleasant sound of the voice, keen understanding and appreciation of the musical masterpiece, harmony in vocal performances and training of musical ear. Ms. Dahl’s selection of wide range and varied repertoire consist of more than 250 vocal pieces in a variety of languages from classical polyphonic vocal music and songs of the 16th century to contemporary post-tonal and post-modern music of 20th and 21st centuries, from folk to popular songs of the 20th century. For several years Ms. Dahl was a conductor of the Radio and TV Children’s Choir in Moscow, and since 1999 she served as vocal pedagogue and a principal conductor of the Choir of the Central Special Music School of the Moscow State Tchaikovsky Conservatory. She is a Visiting Vocal Pedagogue and a Visiting Conductor of the Society of children’s and youth’s choirs “Chor Akademie Bergisch-Land e. V. Solingen” and of the Choir “Junges Vocalensemble Hannover e. V.” (Germany). In Moscow she was a co-founder of the Moscow Department of the “International Foundation for Cinema and Television for Children and Youth”; “Experimental Creative Workshop of Classical Music”; “Music education project for the Anglo-American School Moscow”. In Germany Ms. Dahl was co-founder of the International research, education and concerts project “Highly gifted children: Moscow – Hanover – New York”. She is faculty member of DMA and PhD in Musicology Degree Programs at the Federal State Academy of Choral Art. In addition, Ms. Dahl is a musicologist and moderator of the concerts of the Tchaikovsky Conservatory and of the Philharmonic Society Moscow. Ms. Dahl is a member of the International Society for Music Education (ISME), Scientific Council of History of Music Education, Association of Child Psychologists, All-Russian Choral Society. She wrote about 30 journalistic and scientific articles on the history of singing education and contemporary singing education of children and teenagers. She is the author of successful experimental education vocal program of socialization for the children and teenagers with specific learning difficulties and disabilities. Among her voice students are several well-known young international instrumentalists, such as Nikita Mndoyants, Diana Pasko, Philipp Kopachevsky, and Victoria Margasyuk.